My calendar is all off this week because of the holiday! I completely forgot that today was Tuesday and missed the Tuesday Teasers. At least I managed to get my words posted. Yeah, that’s a little redundant – he was covered with icy ice – but it’s still a good word. 2. Ligate – To tie or bind with a ligature. I’m very familiar with ligature, but I don’t think I’ve ever seen ligate used quite this way. 3. Perfusion – The injection of fluid into a blood vessel in order to reach an organ or tissue. That’s all so far. A word for cold (not surprising, giving the title) and a bunch of medical terms (also not surprising, giving it’s about a medical examiner. 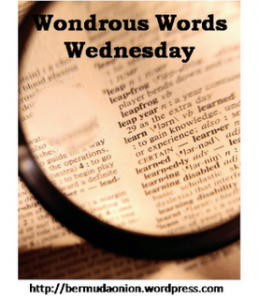 What new words did YOU learn this week? Seeing the word “Rime” made me think of The Rime of The Ancient Mariner. I might have whole title wrong. Never mind. The word that I really like is nulliparous. Wow, I always think of infertile which doesn’t sound very nice. Thanks for your words. You make me want to read Gerritsen. I’ve never read any of her books. I should start with the first one, I guess. Rime in that case is just an old spelling of Rhyme, I believe, because The Frosty Coating of the Ancient Mariner doesn’t make much sense. And nulliparous isn’t the same as infertile; I am not infertile, but I am nulliparous, thank heavens. I like this new rime. It is very descriptive. In the winter I often see my husband’s thick mustache covered in rime. I knew of the first 3. Great finds still! Very interesting words. I didn’t know any of them! Great words! Ligate makes sense, but I don’t think I would have figured it out on my own. Thanks for playing along.